Wilford passed away on Saturday, October 6, 2018 at the Five Counties Nursing Home in Lemmon, South Dakota. Wilford Hans Seim was born September 25, 1918, to Willie & Blanche (Becker) Seim in their pine log home on the South Grand River in Perkins County, South Dakota. He was the 4th of 9 children all born at home–Clara, Susie, Nellie, Wilford, Shelby, Fern, Norman, Horace, & Nels. Wilford attended grade school at West Roosevelt, and high school in Almont, ND. He also attended an agricultural school in Fargo returning to South Dakota to ranch with his Dad. In 1936, they trailed their cattle to Ft. Berthold, ND, because of the drought, stayed there with the cattle for a year and trailed them back home again. Wilford's passion was his Hereford cattle. He took great pride in buying the right bulls for his horned cows, always trying to improve the herd. Wilford enjoyed going to area bull sales and on Hereford tours. He was a great caretaker of his cows and land. Wilford always planted a big garden each year, started and tended many trees and flowers. He enjoyed hard work – could move anything with a fork and shovel! Delores came into his life for a second time the fall of 1994. Their families were connected many years before when Wilford's younger brother, Norman, married Delores's older sister, Dolly. When Delores came to South Dakota to visit relatives that fall, she found, when visiting his home, that Wilford still had a small framed picture of her on his shelf! They married on April 5, 1995. Together, they lived for the next 17 years on the remote ranch. With only a pickup trail to travel, they were snowed in for many days during some winters! Wilford and Delores moved into Lemmon in October 2012. They enjoyed playing cards, drinking coffee, and visiting when family & friends stopped by. In September 2013, Wilford entered the Five Counties Nursing Home. We celebrated his 100th birthday in September. He passed away there on Saturday, October 6, 2018. Wilford is survived by his wife, Delores, Lemmon, sister Fern Lowe, Northome, Minnesota, brothers Norman Seim, Northome, Minnesota, and Horace Seim, Shadehill, sisters-in-law Bonnie Seim Haynes, Meadow, and Darlene Price, Spearfish, step-sons Gary (Roxanne) Gebhard, Laurel, Montana, & Salvin (Laurie) Gebhard, Laurel, Montana, numerous step-grandchildren & great, & great-great grandchildren, nephews, & nieces. He was preceded in death by his parents Willie and Blanche Seim, sisters Clara (and Oliver) Anderson, Susie (and Jim) Pulis, Nellie (and Dale) Briscoe, brothers Shelby and Nels Seim, brother-in-law Harold Lowe, sister-in-law Dolly Seim, nephews, Todd and Gregg Seim, Dave Pulis, Tom Seim, nieces, Barbara Pulis Zum Mallen, Karen Seim Hanks and numerous in-laws in the Milner family. 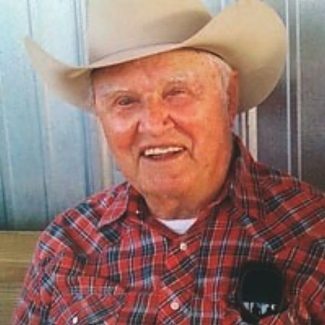 Funeral services for Wilford Seim, age 100, of Shadehill, South Dakota, was Friday, October 12, 2018, at 2 p.m. at the Rosebud Lutheran Church, west of Shadehill, South Dakota. Pastor Tera Kossow will officiate with burial to follow in the Seim Cemetery.